Team AMP has partnered with Club 26.2 to train our participants with great results. Coaches Robert and Euri Mills bring years of experience training individuals and groups for countless racing events. The Coaches always say that this training program is “couch-potato friendly” so we invite anyone and everyone to consider joining. 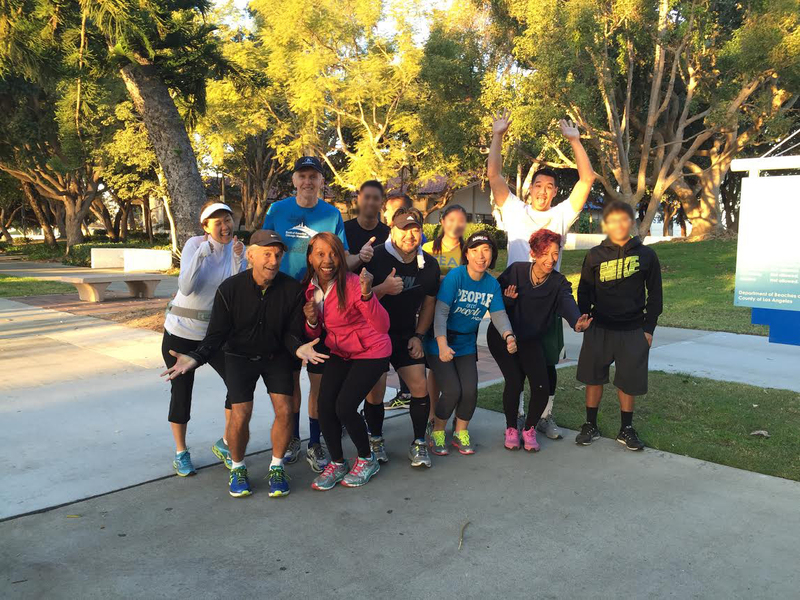 A complete 5-month training schedule is provided and group runs are held on Saturday mornings at 8am in Marina Del Rey. Alternate locations may also be available. Weekly newsletters with running tips and healthy eating guides are also provided. For more information, contact Paulina Hong, (323) 293-6284. This is an opportunity for you to get into the best shape of your life and also enjoy the support of a group. Whether your interest is to lose body fat, improve your shape or appearance, or increase energy, let CLUB26.2’s experienced coaches’ help you get there! We will guide you and help you improve your physical condition, while keeping you motivated and focused. CLUB26.2 uses a proven training routine which has been used successfully by many marathoners for over 20 years. We have a variety of pace groups, so that you can train with others at your approximate fitness level. Whatever your ability level is, from beginner to advanced our experienced coaching staff are there to meet your specific needs. There is no better incentive or motivational tool than to train with a group. As a group, together our mission is to have fun in our exertion. The group support produces a positive social setting each week. Self confidence and self esteem increase with the accomplishment of each long run. Group members develop a strong bond and great respect for each other. And with the improvement in your health and fitness, you will also be more productive in other areas of your life. This program is for anyone and everyone who is willing and able to take that first step to change their life course in a dramatic way. CLUB26.2 is led by Directors/Coaches Robert Mills and Euri Mills provides a comprehensive Run/Walk Marathon/Half Marathon Training program that is designed for all levels of experience from novice walker to the seasoned runner. Information and tips include choosing the right shoes, form & technique, optimal cross training, rest days, how to do the long run, maintenance runs, racing, tapering, proper stretching, proper nutrition, hydration, sports drinks, supplements, along with “what to do” and “what not to do” on marathon day.